Here is paper resources for fold and cut paper cuttings that I found online. 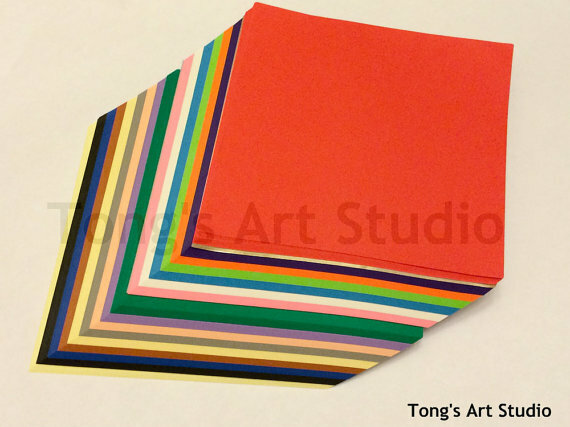 I ordered Folia Origami colored Folding Squares paper for myself. And I found it works good for using as fold and cut paper cutting paper. 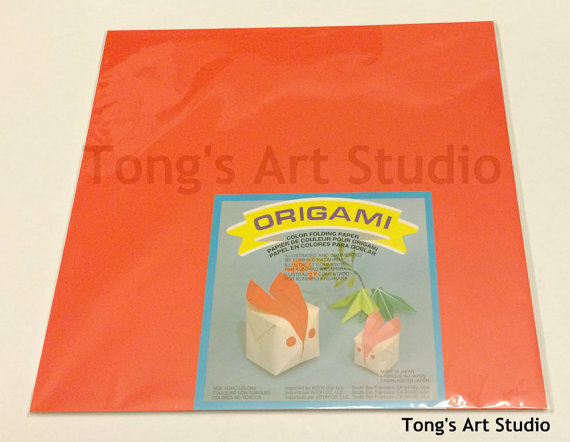 Origami paper is a squared shaped paper, so you don't need to make your own square paper when you do the fold and cut. 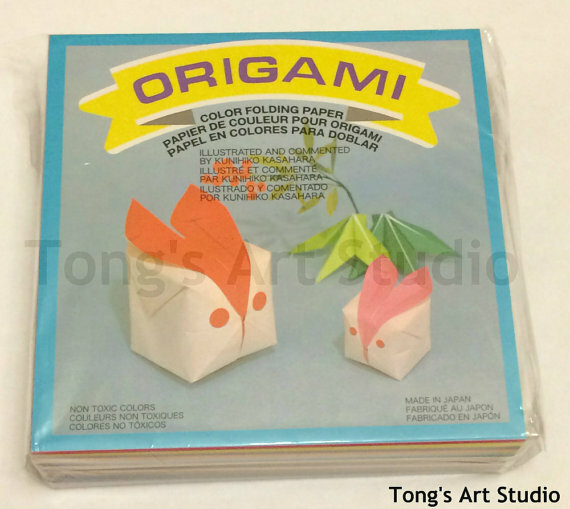 Origami paper has more different choices for colors, you can find all kinds of different solid-colored paper in here. Origami paper designs have really cool patterns, some have two-tone on both sides, some have absorbed colors, as well as metallic colors, and so much more. 500 sheets Origami Folding Paper. 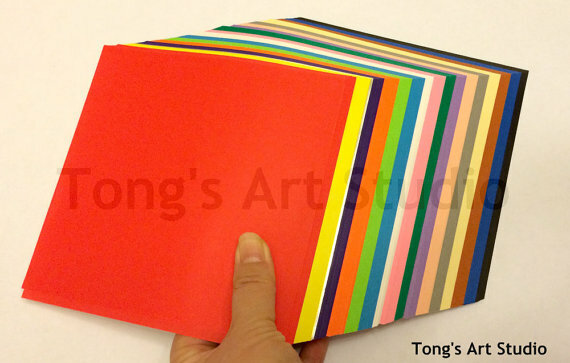 Assorted Colors print on one-side, 5 sheets of each gold and silver, about 30 sheets for each other colors. total is 500 sheet in on pack. Nice paper you won't be disappoint. Paper weight is about 70g. Easy cut as fold and cut paper cutting paper. 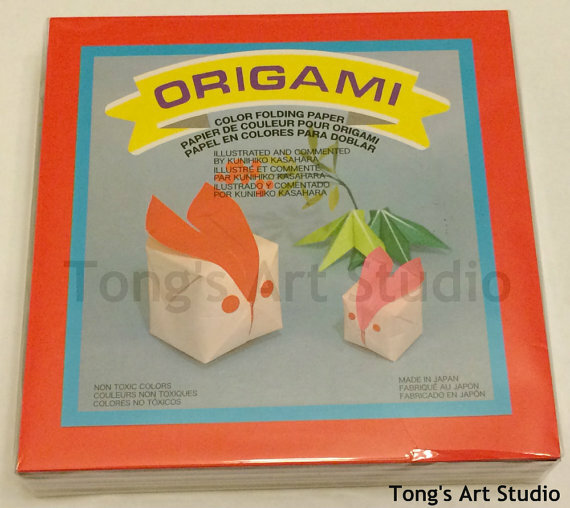 This paper is not only good for origami folding, I will also suggest use it as paper cutting paper, snowflakes cutting, and other fold and cut paper. Will be good for kids cut with. I use these paper in my Paper Cutting for Kids Class. Paper is made in Japan. 500 sheets Origami Folding Paper. Assorted Colors print on one-side, 5 sheets of each gold and silver, about 30 sheets for each other colors. total is 500 sheet in on pack. Nice paper you won't be disappoint. Paper weight is about 70g. Easy cut as fold and cut paper cutting paper, such as paper cutting paper, snowflakes cutting, and other fold and cut paper. Big 50 sheets 12" x 12" Origami Folding Paper. Assorted Colors print on one-side, 1 sheet of each gold and silver, about 3 sheets for each other colors. total is 50 sheet in on pack. Nice paper you won't be disappoint. Paper weight is about 70g. 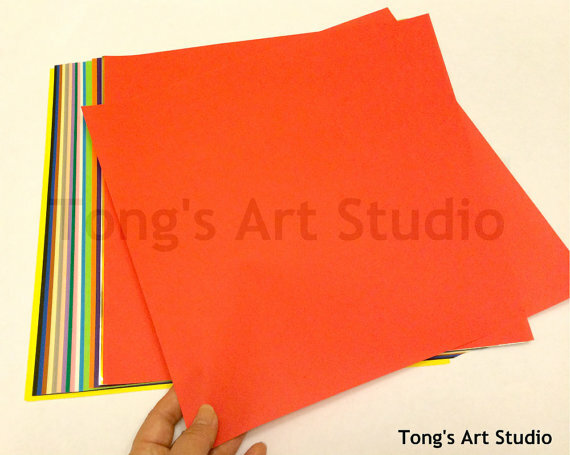 Good to use it as paper cutting paper, snowflakes cutting, and other fold and cut paper.